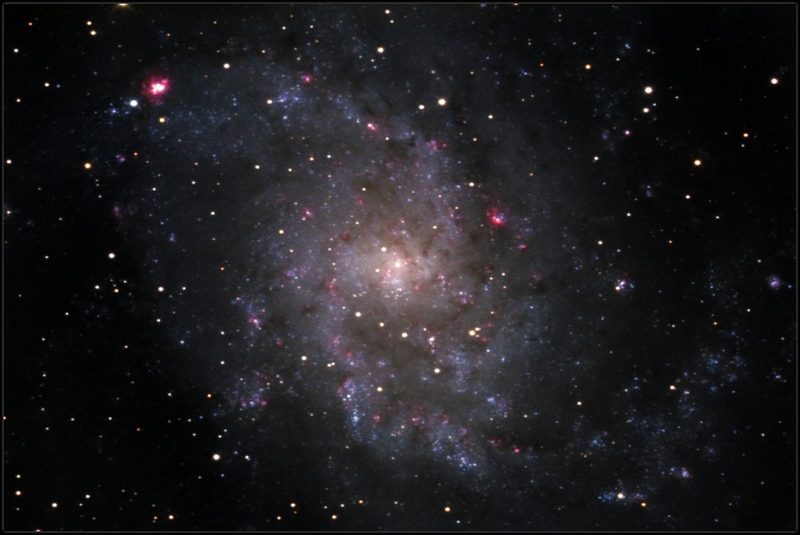 M 33 lies at a distance of approx. 2.2 million light years from Earth and is a member of the Milky Way local galaxy group. It is likely the second closest spiral galaxy to our own Milky Way Galaxy. Image acquired using Apogee Ascent A8050 camera with Astrodon filter set through 10” Astro-Tech AT-RC astrograph.